Left to right: Front row: Julie Dykeman, Jen Caputo, Kristin DiMarzo, Courtnie smigh, Heather Hillage, Michele Morley. Second row: Kimberly DeGroat, Sally Byrne, Amy Johns, Cate Jenkins, Katy LaDuke, Stephanie Acompora, Shawn Proctor. Third row: Lanie Allen, Jocelyn Dubach, Erin Smith, Carrie Ensign, Tori Brown, Ali Bellino, Michele Celestino, Amanda Adams. 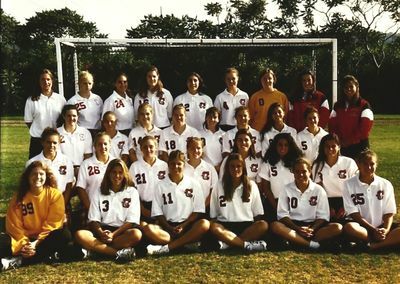 Back row: Trainer Maura Lyons, Amy DeBoer, Melissa Mosca, Meg Sullivan, Michelle Cocchiaro, Kristine Angell, Catherine Bodisco Massink, Assistant Coach Sharon Todd, Head Coach Stacey Schilling.